He told the magazine: “We need radically to reform how we treat women offenders. At the moment, too many women are in jail. A prison sentence not only punishes them, but also makes life much tougher for their children. The Archers storyline is set to mutate into a courtroom drama, with Helen defending herself against the allegations that she tried to kill her husband. Mr Gove refused to call for her release. Listeners to the Archers have heard how Helen is to be transferred to a mother and baby unit, ahead of giving birth to her child. In real life, there are only 64 places available in such units, in England and Wales. Two babies a week are born in the prison system, in England and Wales. Women serving short sentences are allowed to keep their child up until the age of 18 months, but for those serving longer stretches, their babies are removed at around seven months old. Primary and secondary schools in England struggling to recruit teachers spent £821m on supply staff last year, it has emerged. Analysis by BBC News shows the equivalent of £168 was spent on each child in order to hire in extra staff to cover vacancies and absences. Teachers unions say the amount of money spent reflects a “serious teacher recruitment and retention crisis”. 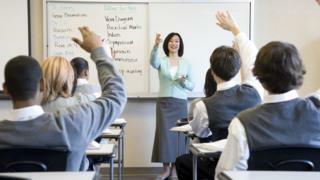 The government said the number of quality teachers was at a record high. The latest data for schools in England shows spending on supply teachers accounted for 6% of the total amount spent on teaching staff wages. The overall figure spent on supply teachers fell by £18m on the previous year. Schools in London collectively spent the most on supply teachers. Primary and secondary schools in the capital spent £212m on extra staff, the equivalent of £260 per child. The Robert Clack School, in Dagenham, east London, spent the most on supply teachers in England. According to the government’s data the school spent £953,807 on extra staff – the equivalent of £526 per child. Dr Neil Geach, the school’s chair of governors, said the figures included expenditure on counselling staff, extra-curricular sport staff and professional development spending. Aside from London, Yorkshire and Humberside had the highest spending rate for supply staff of £161 per pupil, followed by schools in the West Midlands, which spent £160. Schools in the East of England spent the lowest amount per pupil – £137 for every child. Graham School in Scarborough, North Yorkshire spent £556,776 on supply teachers during the course of 2014-15, which was the highest amount in Yorkshire and Humberside. Two years ago, the school was in special measures owing to its poor performance and as a result the new head teacher Helen McEvoy said she had to replace 45% of the teachers who were working in the school. “Yes we have spent on a lot on extra teachers but that reflects the successful journey we’ve been on coming out of special measures,” she said. Government figures for 2014 show that teacher vacancy rate across England stood at 0.3%, which meant around 1,000 posts were vacant. Teachers unions have expressed concerns about the use of private supply teacher agencies, claiming that some firms are putting the pursuit of profit ahead of providing high quality teachers. The BBC found schools spent twice as much on buying in extra staff through private agencies than sourcing additional staff through local councils. Becca Morgan, who set up the supply agency Principal Teachers in Catterick 16 years ago, said her company was currently experiencing its busiest ever period. Chris Keates, the general secretary of the union NASUWT, said the spend on supply staff reflected a “serious teacher recruitment and retention crisis”. A spokesman for the Department for Education said: “Supply teachers provide a valuable role for schools, and schools themselves are best placed to make staffing decisions to reflect their individual needs. It is up to head teachers and governors to decide who is required for the job and this includes how best to cover absences. Canadian prime minister Justin Trudeau announced legislation on Monday to protect transgender people from hate speech and discrimination, as debate rages in the United States over laws restricting their rights. “Even today, despite all the obstacles we have overcome, the battles we have won, and the victories we have celebrated, we are still witnesses, and in some cases, victims of injustices,” Mr Trudeau said in a speech at a Montreal event hosted by gay rights group Fondation Emergence. 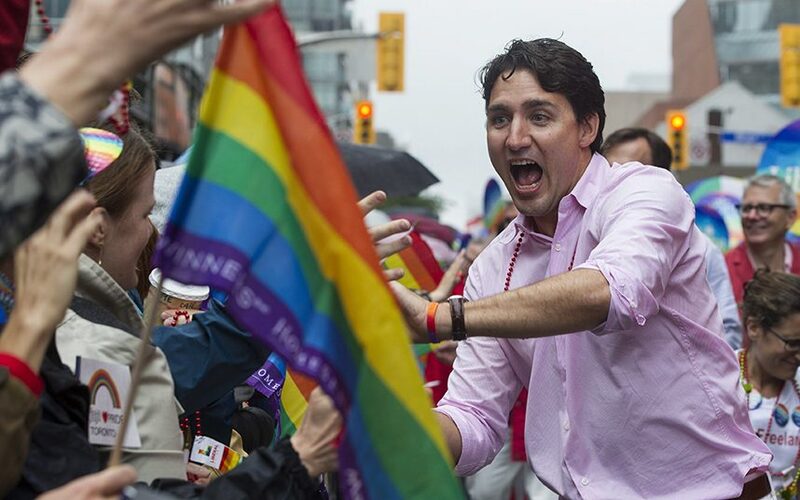 The recently elected Liberal prime minister said legislation ensuring “the full protection” of transgender Canadians is to be officially unveiled by Justice Minister Jody Wilson-Raybould on Tuesday, the International Day Against Homophobia, Transphobia and Biphobia. “We must continue to demand true equality,” Mr Trudeau said in Montreal. 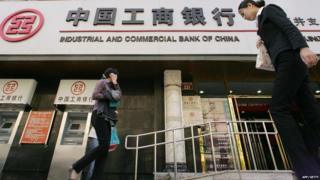 China’s ICBC, the world’s biggest bank by assets, is buying a massive vault in London as it looks to grow its gold and precious metals business. It will be the first Chinese lender to own a vault in London. The vault, which is in a secret location, is being sold by Barclays and can hold up to 2,000 metric tons of gold, silver, platinum and palladium. ICBC’s purchase will give it more influence over the trading, pricing and storage of precious metals. No financial details are available but the deal is expected to be completed in July. China accounts for more than a quarter of global gold demand but trading of the yellow metal remains centred out of London and New York. The London bullion market has seven providers of vault storage services, including the Bank of England. Before the 2012 Olympics it emerged the city was using dust suppressants – a sticky saline solution that causes dirt particles to stick to the ground – close to monitoring sites. The newly revealed research was commissioned from the independent consultancy Aether in 2013. It examined air pollution data from 2010. The researchers found the number of affected schools would reduce significantly by 2020, as air improvement measures took effect. Tower Hamlets, Camden, Southwark, Islington and City of Westminster were the worst affected boroughs. 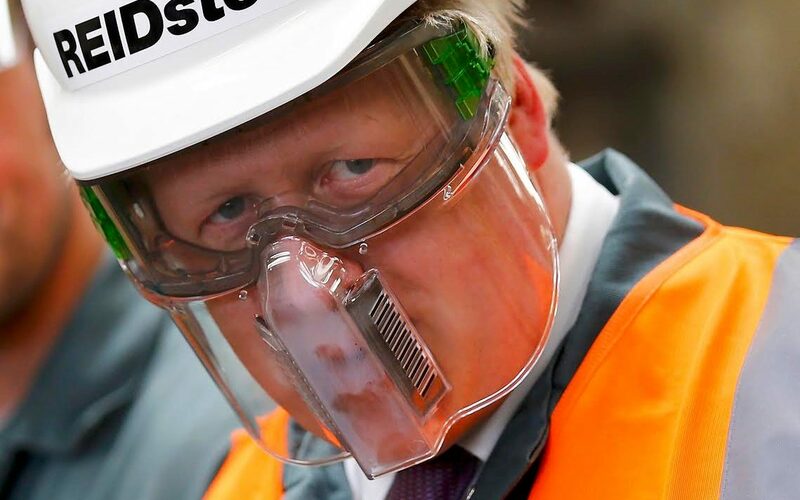 The authors said that roads were a major source of toxic NO2 emissions in London. “A possible explanation for the general trend may be the link between lower house prices, and hence poorer households, and proximity to main roads such as the M4, inner ring roads and radial roads,” they said. European Union limits demand that maximum hourly nitrogen dioxide concentrations are not exceeded for more than 18 hours a year. London exceeded that limit within eight days of 2016. 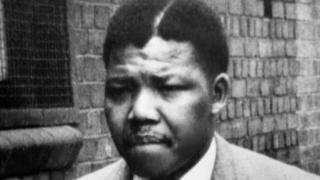 The US Central Intelligence Agency (CIA) has a long history of involvement in African affairs, so Sunday’s reports that the 1962 arrest of Nelson Mandela came following a CIA tip-off don’t come as a huge surprise. Most incidents came during the Cold War, when the US and the Soviet Union battled for influence across the continent. CIA covert operations are by their very nature hard to prove definitively. But research into the agency’s work, as well as revelations by former CIA employees, has thrown up several cases where the agency tried to influence events. Patrice Lumumba became the first prime minister of the newly-independent Congo in 1960, but he lasted just a few months in the job before he was overthrown and assassinated in January 1961. In 2002, former colonial power Belgium admitted responsibility for its role in the killing, however, the US has never explained its role despite long-held suspicions. US President Dwight D Eisenhower, concerned about communism, was worried about Congo following a similar path to Cuba. According to a source quoted in Death in the Congo, a book about the assassination, President Eisenhower gave “an order for the assassination of Lumumba. There was no discussion; the [National Security Council] meeting simply moved on”. However, a CIA plan to lace Lumumba’s toothpaste with poison was never carried out, Lawrence Devlin, who was a station chief in Congo at the time, told the BBC in 2000. A survey of declassified US government documents from the era notes that the CIA “initially focussed on removing Lumumba, not only through assassination if necessary but also with an array of non-lethal undertakings”. While there is no doubt the CIA wanted him dead, the survey does not indicate direct US involvement in his eventual killing. Ghana’s first President Kwame Nkrumah was overthrown in a military coup in 1966 while he was out of the country. He later suspected that the US had a role in his downfall and in a 1978 book, former CIA intelligence officer John Stockwell backed this theory up. In In Search of Enemies he writes that an official sanction for the coup does not appear in CIA documents, but he writes “the Accra station was nevertheless encouraged by headquarters to maintain contact with dissidents. He says that the CIA in Ghana got more involved and its operatives were given “unofficial credit for the eventual coup”. A declassified US government document does show awareness of a plot to overthrow the president, but does not indicate any official backing. Another declassified document written after the coup describes Nkrumah’s fall as a “fortuitous windfall. Nkrumah was doing more to undermine our interests than any other black African”. In Angola three competing groups fought for control after independence from Portugal in 1975, with the MPLA under Agostinho Neto taking over the capital Luanda. Mr Stockwell, chief of CIA’s covert operations in Angola in 1975, writes that Washington decided to oppose the MPLA, as it was seen as closer to the Soviet Union, and support the FNLA and Unita instead, even though all three had help from communist countries. The CIA then helped secretly import weapons, including 30,000 rifles, through Kinshasa in neighbouring Zaire, now known as the Democratic Republic of Congo, Mr Stockwell says in a video documentary. He adds that CIA officers also trained fighters for armed combat. A declassified US government document detailing a discussion between the head of the CIA, the secretary of state and others indicates the support the CIA gave to the forces fighting the MPLA. The US continued to support Unita through much of the civil war as Cuba was backing the MPLA. Hissene Habre failed in his attempt to take power by force in Chad in 1980. But his efforts led President Goukouni Oueddei to call on help from the Libyan leader Muammar Gaddafi, whose soldiers successfully beat back Habre’s challenge and forced him into exile. A proposed alliance between Libya and Chad began to unsettle the US especially as Gaddafi began to be seen as a supporter of anti-US activities. In Foreign Policy magazine Michael Bronner writes that the CIA director, with the secretary of state, “coalesced around the idea of launching a covert war in partnership with Habre”. It is alleged that the US then backed Habre’s overthrow of the president in 1982 and then supported him throughout his brutal rule. Wearing body mounted cameras can place police officers at more risk of being assaulted, a study has shown. Police who use cameras to record their interactions with the public are 15 per cent more likely to be attacked because they are less assertive than their colleagues, according to the latest research. 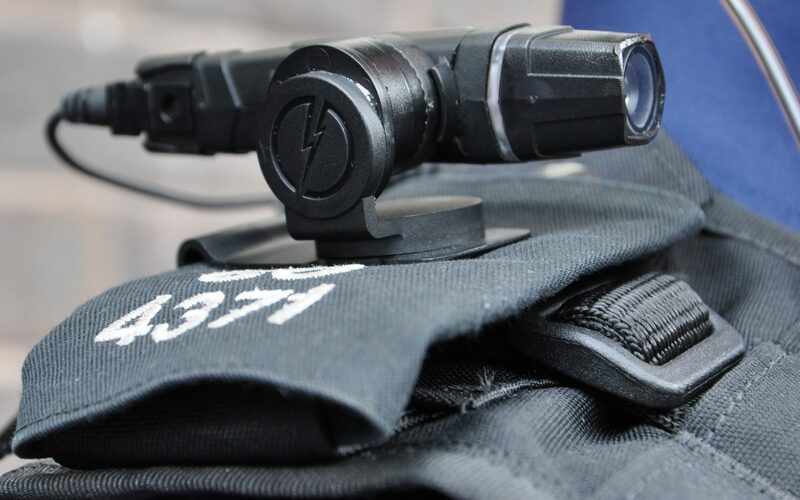 Most police services in England and Wales now use body-worn video to some extent, and last year the largest force – the Metropolitan Police – announced plans to introduce the equipment to all frontline officers following a large-scale trial. But an early study into their effectiveness has found evidence to suggest they can put the wearer at more risk of physical assault. Criminologists looked at the experiences of eight police forces across Britain and the United States – including West Midlands, Cambridgeshire and Northern Ireland’s PSNI. While the researchers said they could not be sure why officers with cameras faced more assaults, one theory being explored is that the increased monitoring means they are less assertive than their colleagues. The study also suggested assaults might occur more frequently when officers informed members of the public they were switching on their cameras during an incident, sparking an unfavourable reaction. But researchers said the spike in numbers could simply be down to officers feeling more able to report incidents because they had the footage as evidence. The researchers urged caution on the findings-published across two papers in the European Journal of Criminology and the Journal of Experimental Criminology- saying work is ongoing and the results demand further scrutiny. The research also suggested there was no overall discernible effect of using the cameras on police use of force on citizens. Nerys Thomas, the head of research at the College of Policing, said a study about the effectiveness of the cameras in London had found that there was a 33 per cent reduction in the number of complaints against officers with no effect on officer safety. 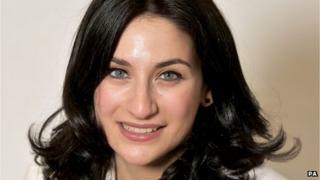 Labour frontbencher Luciana Berger says she is considering running for a new mayoral role covering Liverpool and surrounding areas. The shadow mental health minister and MP for Liverpool Wavertree said she was “flattered” that people had asked her to stand for the “metro mayor” role. Another Liverpool MP, Steve Rotheram, is also considering seeking Labour’s nomination, the BBC’s Arif Ansari said. Elections for mayor of the Liverpool City Region will be held in 2017. It will cover five Merseyside councils – Liverpool, St Helens, Knowsley, Sefton and Wirral – as well as Halton in Cheshire. If they do choose to run, Ms Berger and Mr Rotheram would face competition for Labour’s nomination from the current mayor of Liverpool, Joe Anderson, who has already confirmed he will put himself forward. 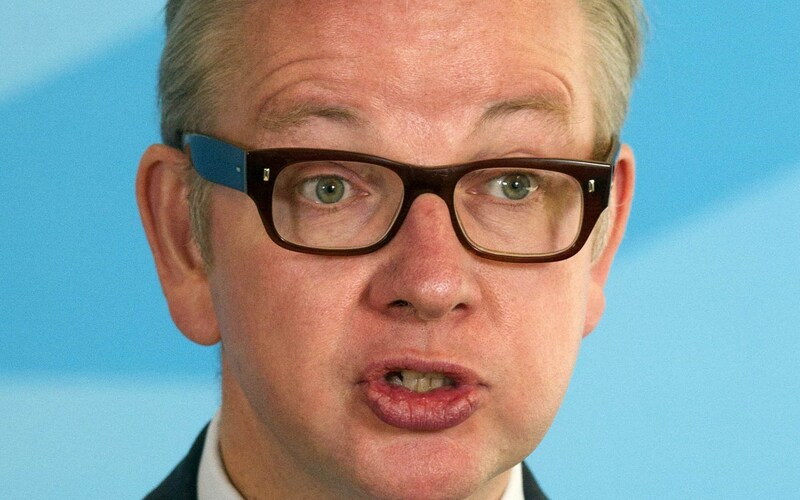 Ministers have championed the idea of regional elected mayors in exchange for the devolution of powers from Whitehall. Labour’s former shadow home secretary Andy Burnham said last week he was considering putting himself forward for a similar role in Greater Manchester. 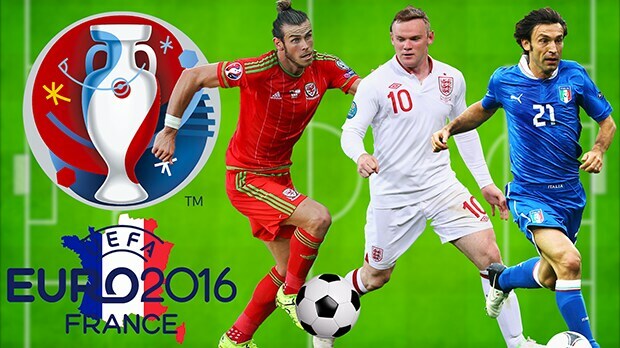 Thousands of supporters from England, Wales, Northern Ireland and the Republic of Ireland will travel to France for the tournament, which begins on June 10. Rod Jones, insurance expert at uSwitch.com, said: “With footie fans looking forward to making the short trip across the Channel this summer, it’s concerning that so many could be caught offside because of foreign road laws. “It pays to check that your car insurance policy includes European cover. Many policies default to third-party only protection on the continent unless you’ve stipulated otherwise, so talk to your insurer if necessary. A career in law and extremely long hours tend to go hand in hand. When you’re starting out it’s often particularly gruelling. Partly of course it’s about proving your commitment, but being a lawyer also involves an awful lot of grunt work – spending hours and hours looking through past case law to help your firm determine how to fight a current case. It’s this time consuming, labour intensive research aspect of the legal system that Andrew Arruda, co-founder and chief executive of tech start-up Ross Intelligence, believes its invention can address. The AI (or artificial intelligence) legal research system allows lawyers to type in a question – much in the same way they’d ask a colleague – and bring up relevant examples of what has happened in previous US legal cases, essentially at the touch of a button. “Lawyers may know the law and where it stands on a particular issue today but many cases come out and it can change that so they’re always looking into the past to build the future. “The issue with that is there’s just millions of cases. What our system is able to do is keep up to track with all these changes in the law so at a glance a lawyer can help their clients really, really efficiently,” says Mr Arruda. He calculates the invention eventually has the potential to save lawyers some 30% of their time. It seems a staggering claim for a firm founded just over a year ago, but Mr Arruda says the calculation is based on this being the amount of time lawyers typically spend on legal research using a normal database. The system is built on IBM Watson, a technology platform that uses natural language processing and machine learning to find relevant information from large amounts of unstructured data, basically written in text, rather than neatly situated in the rows and columns of a database. This enables Ross to extract facts and conclusions from over a billion text documents a second. In contrast, existing solutions rely on traditional search technologies that look for keywords to find results and which then need to be sifted manually, while other rival research products typically require substantial training to be used effectively. “Our system is actually able to understand, when a lawyer asks it a question, what they are really looking for. It does that by examining the different words in the sentence, contextualising it and seeing the relationships between those words. “In an instant it knows what the user is looking for and once a system knows what the user is looking for it’s also able to learn from them on what’s best to bring up, so there’s this constant feedback loop that Ross learns from its users,” says Mr Arruda. Is the tradition-focused legal industry really ready to embrace the latest tech innovation? This of course begs the question as to whether the aim of Ross Intelligence is really to replace lawyers with its much cheaper machines. Mr Arruda claims not, arguing its aim is simply to allow lawyers to do their job more efficiently, describing the research system as “an augmentation” or enhancement of their skills, rather than a replacement. But he acknowledges it could make possible hiring a lawyer in the first place – currently out of the reach of many people. “Systems like ours allow lawyers to do a lot more with less and we are really looking forward to the day when everyone can afford a lawyer,” he says. In fact, it was this intention which drove the creation of the firm in the first place. Mr Arruda’s co-founder Jimoh Ovbiagele, now chief technology officer at the firm, was 10 years old when his parents separated, a time when he first got interested in programming and computer science. He witnessed his mum unable to afford the high cost of divorce lawyers first-hand, driving his determination to use his interest in tech to ensure others would not have to go through what his mother did. Yet many are sceptical that the legal industry – arguably more associated with tradition, bulging files of papers, odd clothing and arcane procedures – is ready for this level of technical innovation. Mr Arruda refuses to say how many subscribers the firm has so far for its service, although recently BakerHostetler, a US law firm announced it would use Ross Intelligence for bankruptcy matters, saying it believes emerging technologies like cognitive computing can “help enhance the services we deliver to our clients”. But Mark Estes, library director at Alameda County Law Library in California, believes human researchers are still the best and most reliable method for people to find out what they need to know in a legal situation. “Sometime in the future it may be easier to find information without the help of a human individual interaction but that to me seems a long way off because a computer has to be able to interpret whatever someone is saying and infer in ways that would be very challenging. “I really don’t foresee a time when it will not be advantageous to use a trained law librarian or a trained lawyer to finish your legal research issue,” he says. In the meantime, however, Mr Arruda says thanks to Ross’s invention there are some lawyers who get to leave work on time.